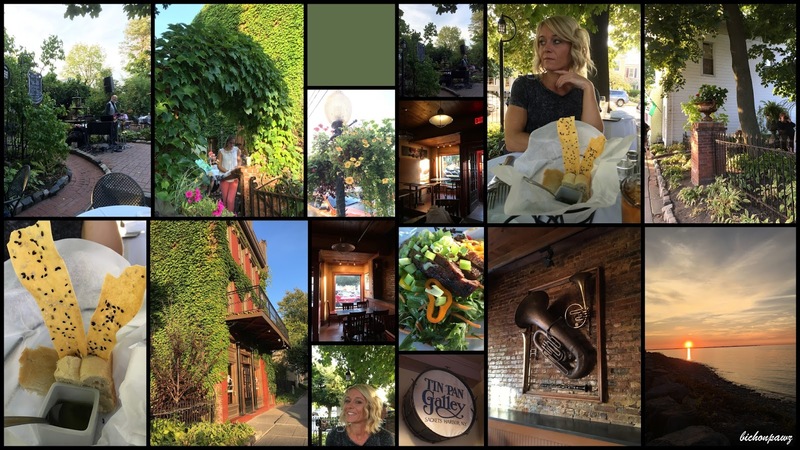 Tin Pan Galley in Sackets Harbor, NY has been one of my most favorite restaurants for YEARS! My daughter came to visit for my birthday...she came early...as it is actually tomorrow! So, we headed out to Tin Pan Galley for a fabulous dinner! I was so happy she came to visit and we got to spend some quality time together. I had the Thai Steak Dinner Salad and Michelle had the Chicken Caesar Dinner Salad. Both of them were absolutely delicious!! WOW....what a beautiful-looking restaurant, Jeanne! It's got such a great rustic atmosphere! Love the exposed brick wall and the front entrance. It reminds me of New Orleans. Glad to hear that you are able to spend quality time with your daughter. Wishing you a VERY HAPPY BIRTHDAY tomorrow, my friend! Happy early birthday! Sounds like the perfect way to spend it! Looks wonderful - seems like a terrific atmosphere!